With their high ceilings—to house firetrucks and poles—and concrete and brick construction, firehouses could inspire more architects to design homes out of these structures. Need proof of how gorgeous these conversions can be? 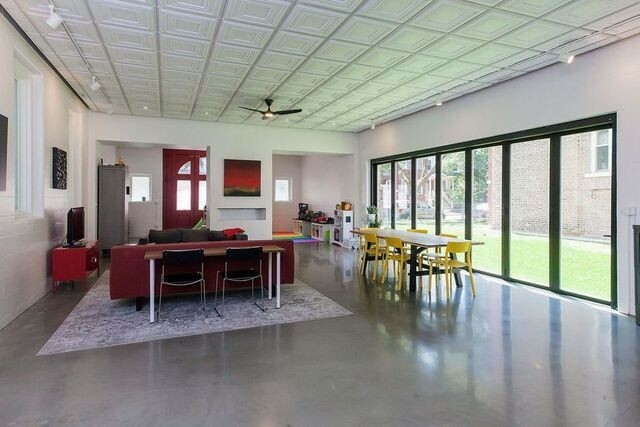 Check out this 3,800-square-foot, single-family home in Chicago’s Lincoln Square neighborhood. 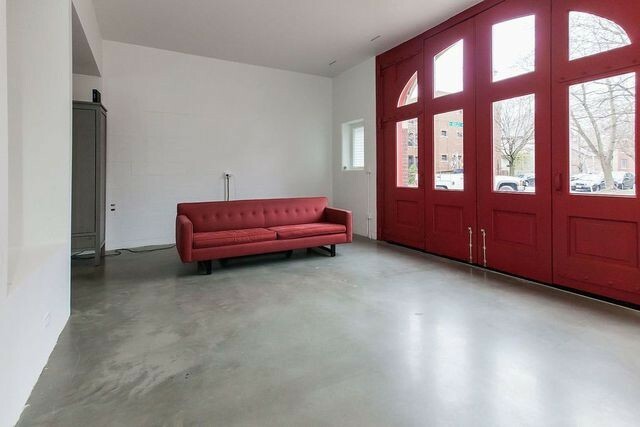 The former firehouse, on the market for $1.38 million, has four bedrooms and 2.5 baths, and comes with three covered parking spots (a blessing during winter, when parking is tight). Its only owner, who saw the renovation of this 1936 firehouse from start to finish, is also an interior designer who’s now ready to move onto another project. Thus, the firehouse is looking for a new chief. “It was a true Chicago firehouse through the ’70s. Then the city, like a lot of these buildings, took them over as office space,” explains listing agent Jim Buczynski of Compass in Chicago. 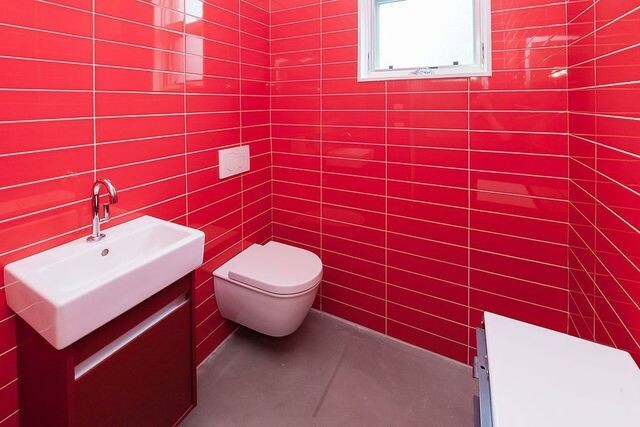 The structure was empty from the ’90s until 2013, when the current owner snapped it up. “It was pretty much a raw, open space but in bad shape. Everything had to be gutted,” he says. 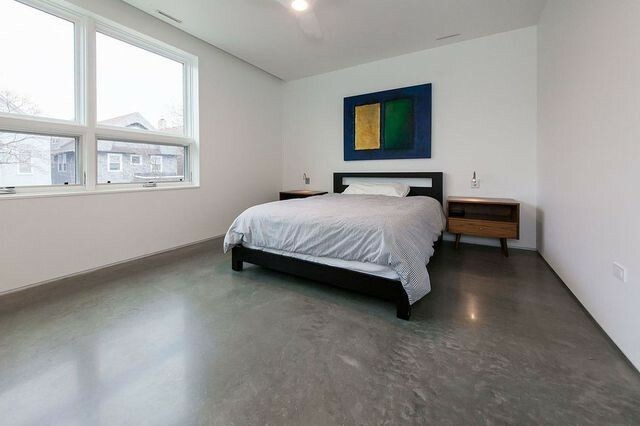 Adding concrete flooring with radiant heat and triple-pane windows helped bring the structure into modern times. The front swing doors were painted a shiny shade of red, serving as a grand entrance to the foyer, which was the former hose room. 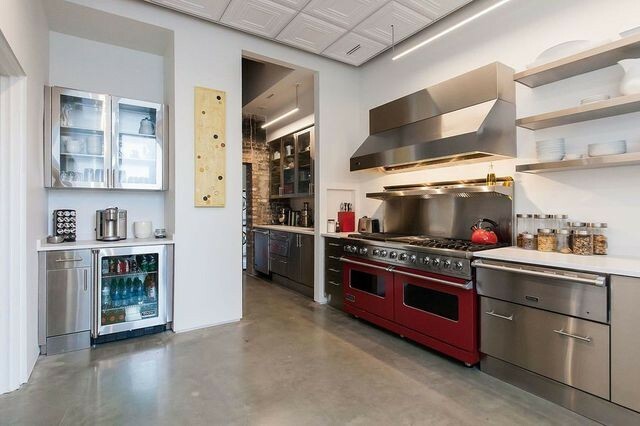 The eat-in kitchen is equipped with a firehouse-red Wolf range, white quartz countertops, a butler’s pantry, and stainless-steel cabinets. The ceilings are 10.5 feet, and all the bedrooms are on the second level. 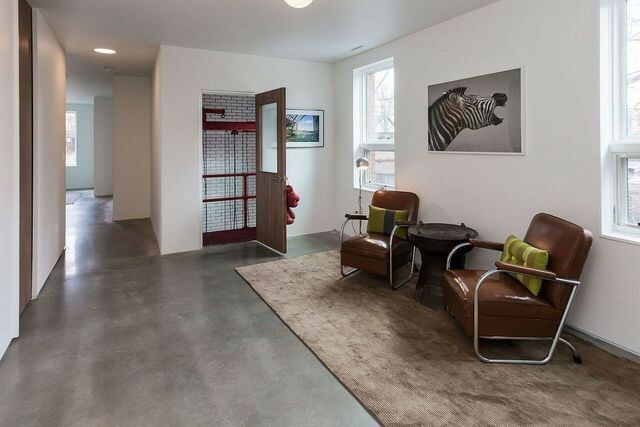 With an eye on entertaining, the owner added movable walls (without destroying floors) and hopes the next owner will invest in furniture on wheels to further flex the living space. 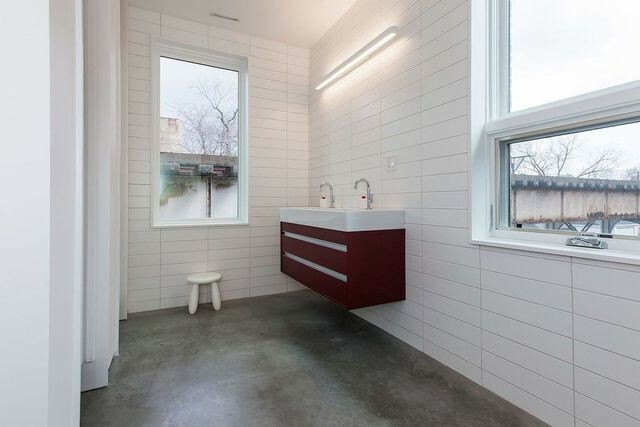 Space added on with the renovation is currently used for a mud room but would also make a nice gym, says Buczynski. “This thing is a fortress,” says Buczynski, noting that the only wood (walnut) is found in the home’s stairs and doors. The rest of the building is brick and concrete. What kind of buyer should sound the siren? A history buff would be attracted to the notion of waking up in a piece of Chicago’s history every morning. However, it’s the conversion’s unique design—with an eye on luxury—that warms up the place and keeps it from feeling cold and modern. City dwellers can really feel at home here because Lincoln Square—9 miles north of the Loop in downtown Chicago—is the type of neighborhood that’s pedestrian-friendly and attracts trendy restaurants and boutiques.